Scheduling clash? Not surprised – we thought you might be a bit of a big shot. Easy fix. 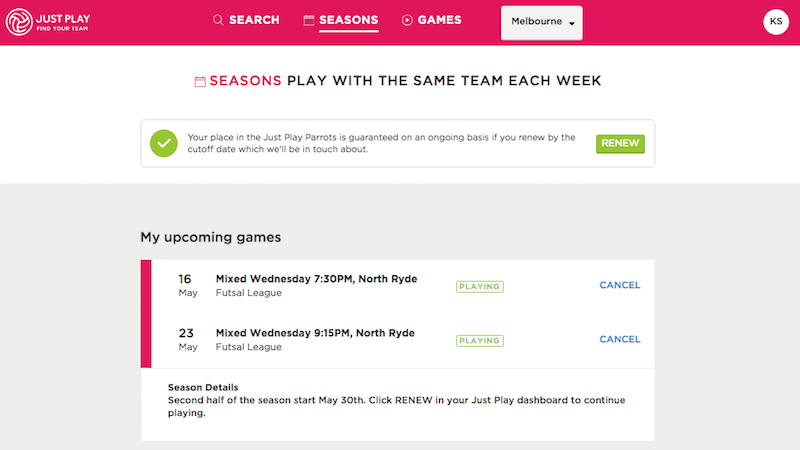 If you can’t make an upcoming game, all you need to do is log into your player dashboard at: justplay.com.au/dashboard and mark yourself as not playing. If the game entity already exists you can hit the 'CANCEL' on the actual game, if it doesn't then just mark the date in the "Unavailable Dates" section of your Calendar and this will automatically mark you as an not playing for any games created for this date. 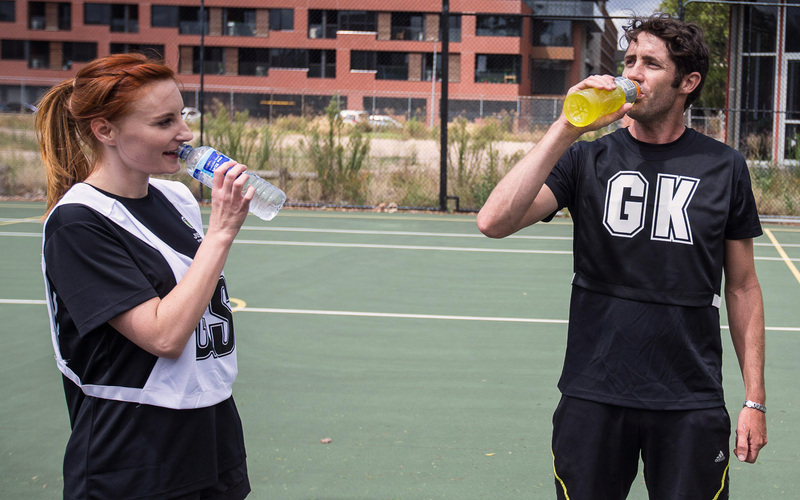 We’ve been around the block a few times, so we always make sure each team has a couple of extra players on top of the minimum number required. We also have a gigantic list of members who are looking for extra games. So if you absolutely must skip a game, go ahead – no hard feelings on our end *quiet sobbing*. For bonus points, please mark yourself as unavailable at least 48 hours prior to the game start time. With 48 hours notice we can find close to unlimited fill in players. However, when you change your RSVP 30 minutes before the game it is very difficult for us to rub our hands together and make a player appear. We're good, but we're not THAT good. Updating your RSVP 48 hours in advance will also give you 1 x games credit so that you can make up and play an extra game if your heart desires (this game credit is issued to your account following your game time, in case you decide to change your status back to playing). How will you know your upcoming game details? We send an SMS reminder 2 days prior to your game to all players RSVP'd as playing, so this is a great prompt if you can't make the game. 1 click of the link in the SMS will update your RSVP from playing to not playing... Magic! We also send an email reminder the day before - so even if you smashed your screen on the weekend and are currently trawling gumtree for an iphone 5, you can still be across your game details.. Anything else to know about RSVP's? Letting someone in your team know that you can't play via Facebook / Whatsapp / text etc is NOT the same or equally as good as updating your RSVP with us. Nobody in your team is responsible for finding a fill-in or dealing with your absence, so while it is a nice idea and a welcome and courteous additional step, we do always require you to update your RSVP with us. Failure to do so will have your non-attendance recorded as a no-show as part of our game report process. Recording 2 x no-shows in a single season can result in you being removed from the team. This is a last resort, but ultimately we have a responsibility to our teams (and your teammates), as well as to our opponents and the competition organisers to field a reliable team each week. Not that we're expecting any issues, we just like to be clear on what is required.